This impressive volume provides over 1,500 thoroughly revised and updated entries on modern poets active from 1910 to the present day. An extensive guide to the lives of influential poets writing in English, in Britain and around the world, this companion helps to illuminate the influences, inspirations, and movements that have shaped the lives and works of these important authors. 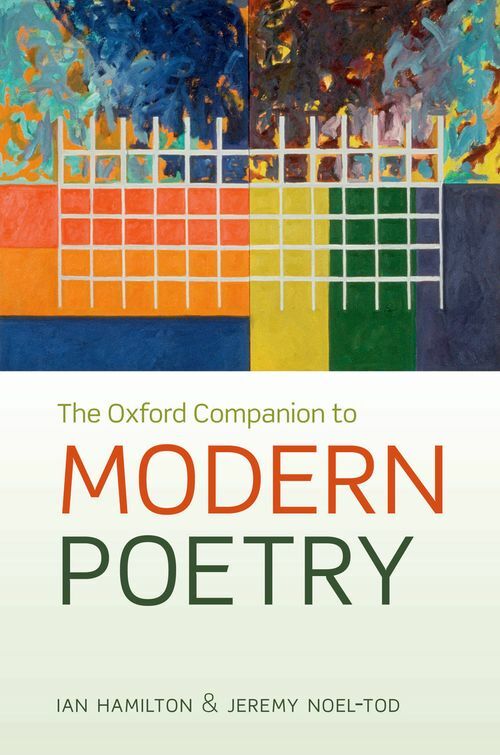 First published in 1994 as the Oxford Companion to Twentieth Century Poetry in English and compiled by a team of 230 experts, including famous poets such as Carol Rumens and Andrew Motion, this edition also includes new biographical entries on more contemporary poets such as Don Paterson, Anne Carson, John Kinsella, and Leslie Marmon Silko. It also contains insightful entries by well-known peers, such as Seamus Heaney on Robert Lowell and Anne Stevenson on Sylvia Plath. The A-Z biographies are complemented by new appendices including coverage of poetry events and movements and lists of anthologies and important poetry prizes and prize-winners. In addition, many entries include details of in-depth supplementary material available online on the dedicated companion website. This superb reference work is the ideal companion for students of English Literature, Language, and Creative Writing, as well as for anyone with an interest in modern poetry. Jeremy Noel-Tod is Lecturer in Literature and Creative Writing at the University of East Anglia. His published criticism includes articles on a wide range of modern poets, from W.H. Auden to Rae Armantrout He reviews poetry for the Times Literary Supplement and the Daily Telegraph, and is an Associate Editor of Eggbox Publishing. ; Ian Hamilton was the editor of The Oxford Companion to Twentieth-Century Poetry in English. He was a literary critic who wrote extensively on poetry, including A Gift Imprisoned: The Poetic Life of Matthew Arnold (1998), and Against Oblivion: Some Lives of the Twentieth-Century Poets (2002). He also published studies of the little magazine, the novelist J.D. Salinger, and the footballer Paul Gascoigne. His Collected Poems appeared posthumously from Faber and Faber in 2009.